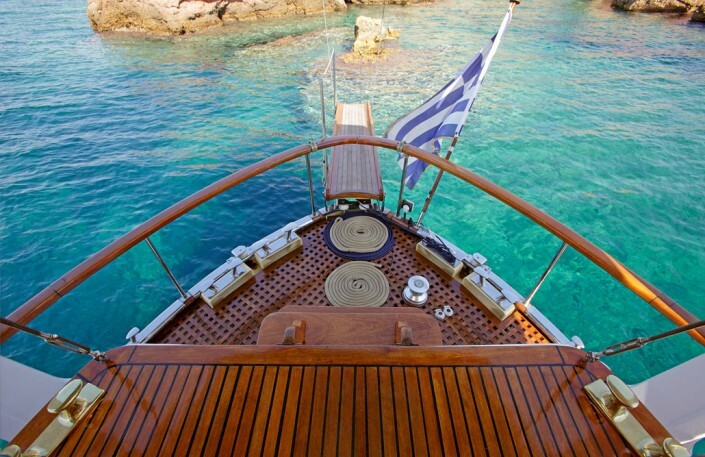 M/S ROTA II is a truly magnificent crewed motorsailer yacht available for private charter or short term cruises in Greece, enabling all travelers, even those without a captain or skipper license, to enjoy their holidays the way they dream of, in privacy, affordably and safely. Our captain and the crew of m/s ROTA II are absolutely devoted in one goal; to offer you what they most love and cherish with all their hearts. A Wonderful sea travel experience! 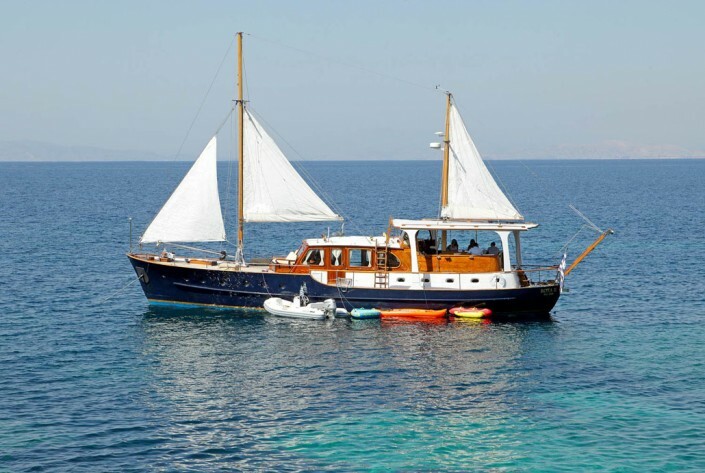 With us, you will have the chance to feel the breath of the wind and the sea, to commune the innocence of nature, to discover your own little paradise hidden among the many islands of the Greek Archipelago. 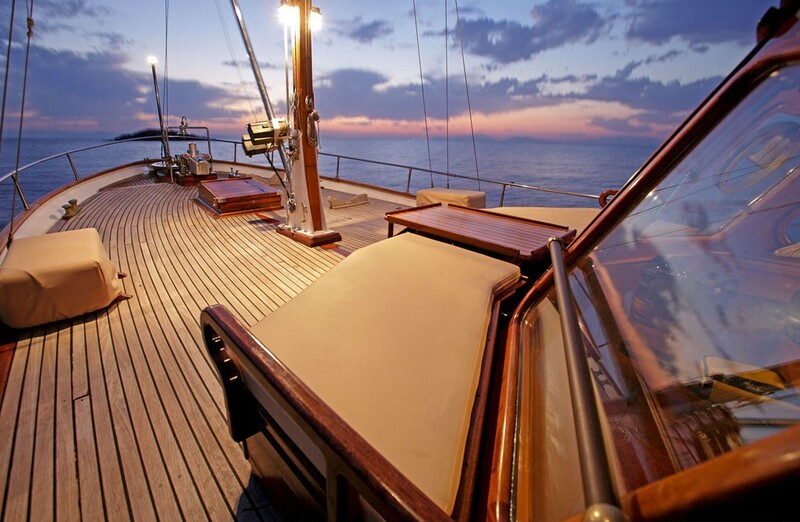 We promise you to be generous hosts of a warm hospitality, based on kindness, generosity and smile on board of our unique classical motorsailer yacht. Come to cruise with us and be sure that these days will fill your memory and heart with many little moments of beauty, peace, care, friendship and love. M/S ROTA II accommodates up to 8 guests in 4 cabins for private charters. 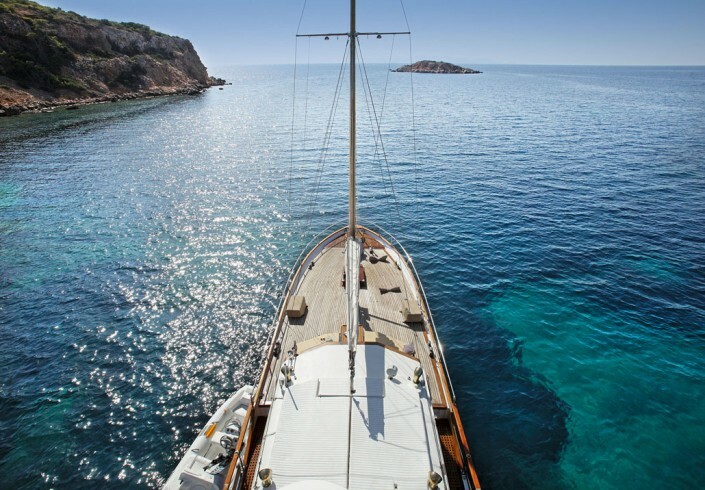 Join us onboard this classical motorsailer yacht, choose your destinations and enjoy the freedom that only a truly floating hotel can offer you. Being one of the very few yachts in Greece with a 46 passenger permit for daily cruises, M/S ROTA II is the perfect option when you and your friends look for a unique short break from the hectic rhythms of the city. 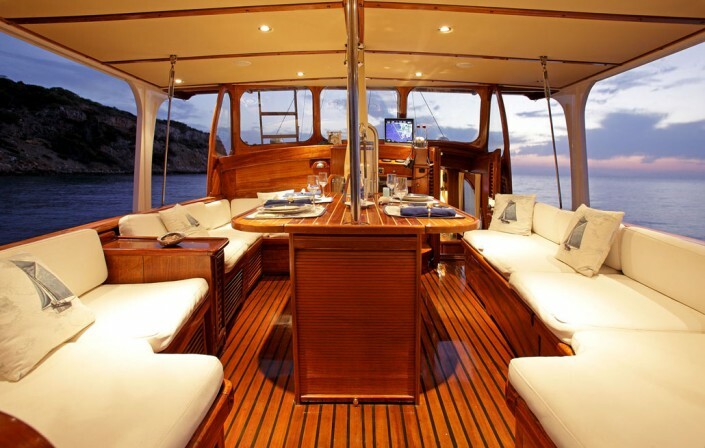 With such a unique character, the yacht is often the choice for much more than charters; whether that being a party, dinner, photo shoot, wedding etc. Your ideas and suggestions are always welcome.